Rife with intrigue and treachery, this history play depicts the onset of the fifteenth-century Wars of the Roses between the houses of Lancaster and York. David Tennant plays Henry VI, and Kelly Hunter plays Queen Margaret. Norman Rodway is the Duke of Gloucester, Isla Blair the Duchess of Gloucester, and Clive Merrison plays the Duke of York. Well, this is dumb. I just realized that I posted my review of Part Two under Part Three. So I may as well post my review of Part Three under Part Two and hope that anyone interested in either play will read both. The third part of Henry VI condenses most of the action of the War of the Roses, and as such is filled with one (sometimes confusing) battle after another. Wakefield, Barnet, and Tewkesbury follow one another in a whirlwind, dissolving into clashing steel and shouting men. The rise and fall of great ones can be confusing too. The Earl of Warwick fights for York, then Lancaster, and then he's dead. Clarence, one of the sons of York, fights for his brother, then switches sides, then switches back again. Henry (played here, as before, by the brilliant David Tennant) is king, then he's not king, then he's king again; Edward, son of Richard Duke of York, is king and then not king and then king again. When the dust settles, Edward is on top and Henry is dead. And keep your eye as well on David Troughton as Richard, younger son of the lamented Duke of York. His murderous ambition becomes clear as the play progresses. The Richard who ends this play is the Richard who opens his own play, Richard III (the next in the series), declaring that “the winter of our discontent” has been made glorious summer “by this son of York” - his brother Edward. By the end of THAT play, everybody - Edward, his children, brother Clarence, Richard himself, and all the Lancastrians but one - is dead. 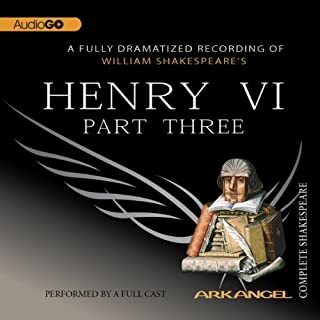 If you've seen Richard III and have wondered about the background, the third part of Henry VI is an excellent introduction. First thing we do, let's kill all the reviewers! "Burn all the records of the realm. My mouth shall be the Parliament of England." So, I liked Part 2 of Henry VI a lot better than Part 1. It still isn't Hamlet, but it is complicated, funny, twisted in parts. One of my favorite aspects of the play are the scenes with Queen Margaret and Suffolk. No. They aren't great people, but they are a great couple. Their parting is amazing and poetic. 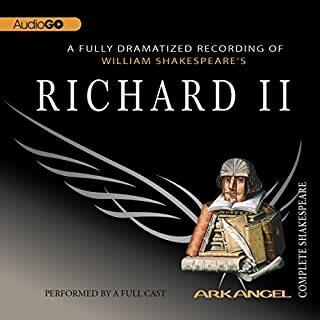 My other favorite part is, well, anything with Jack Cade/Sir John Mortimer (how can you not love a guy who knights himself?). He is one of those great populists in literature and history, belonging on the shelf next to Huey Long and Donald Trump. Dammit. I'm trying to avoid Trump by reading the classics and I come across Cade and the Butcher and all their anti-intellectual followers. Burn the accountants and kill all the lawyers. We march on Washington D.C. boys. ―"My shame will not be shifted with my sheet --"
―"A staff is quickly found to beat a dog." Which mates him first that first intends deceit." And where thou art not, desolation." ―"If I depart from thee, I cannot live. But like a pleasant slumber in thy lap?" ―"This way fall I to death." Knowledge the wing wherewith we fly to heaven." This production is an illuminating and moving performance of Shakespeare’s play. The story could be hard to follow or lose some listeners’ interest if it were not so well executed. Tennant’s and Hunter’s performances particularly bring those characters to life. Well done, all around! 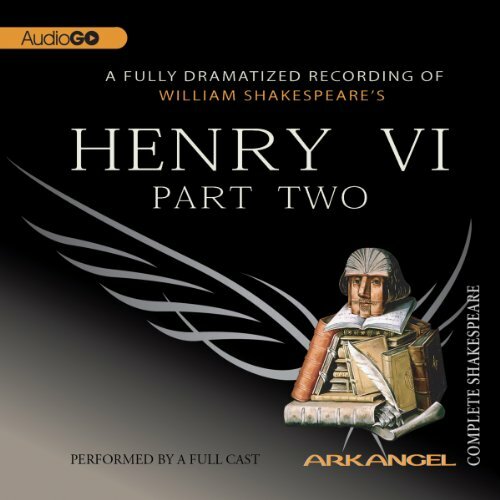 If you have ever struggled understanding Shakespeare you must try audio versions. I've been listening to this productions version of all of Shakespeare's works and I have yet to be disappointed. I can't speak highly enough of the performance. It's as if you are transported back in time, and for this particular book you're afraid for your life!